Check Page Daily, Will add new horses Often. to pen cattle, team sort, english, patterned on the barrels, trail rides, etc. broke, great stop, backup, sidepass, etc. Has also been pony horse at the track. $2500. Not for small child/beginner due to size. hands. Rides western and english. Gentle. 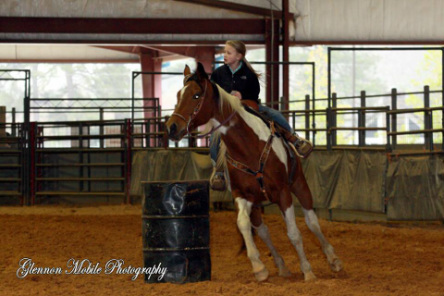 Automatic and consistent barrel horse. pattern. Doesn't get hot! Great walk, trot and lope. Great all around mare. $2500. Not for small child/beginner rider due to size. 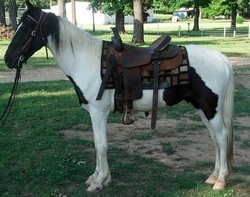 8 yr old black/white tobiano gelding.